During the early years of children’s lives, their cognitive development peaks, and they begin to learn foundational skills in language, motor skills and social interaction. 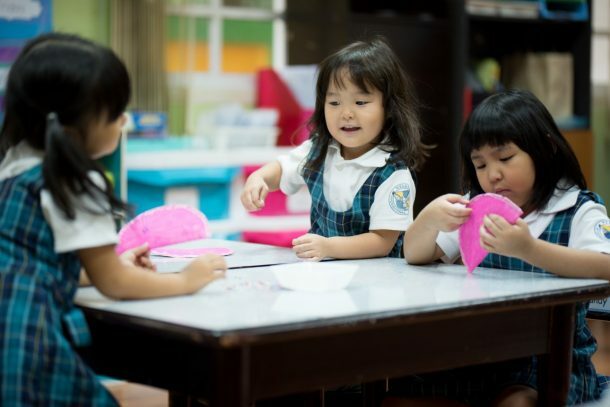 Wells International Kindergarten, licensed by the Thai Ministry of Education, taps into this enormous capacity, providing young students with research-based learning opportunities that promote their reasoning, creative thinking and inquiry skills. 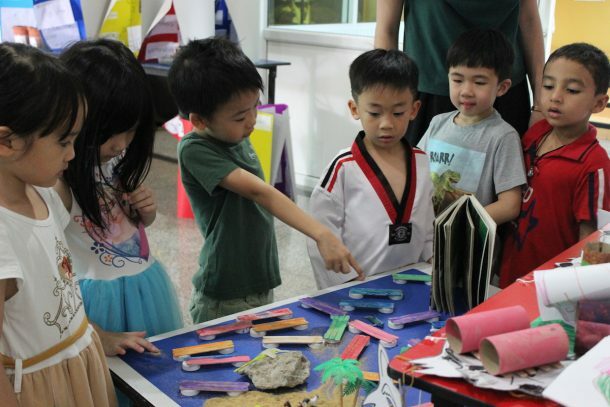 Aligned with the learning standards of Wells International School’s primary and secondary programs, the American-based curriculum at our kindergarten emphasizes hands-on learning, engaging physical and mental activities, and a holistic approach that address each developmental domain–creative, emotional, intellectual, physical and social. Young learners are thus able to build a solid academic foundation and a love for learning that carries into primary school and beyond. What is the American kindergarten curriculum? 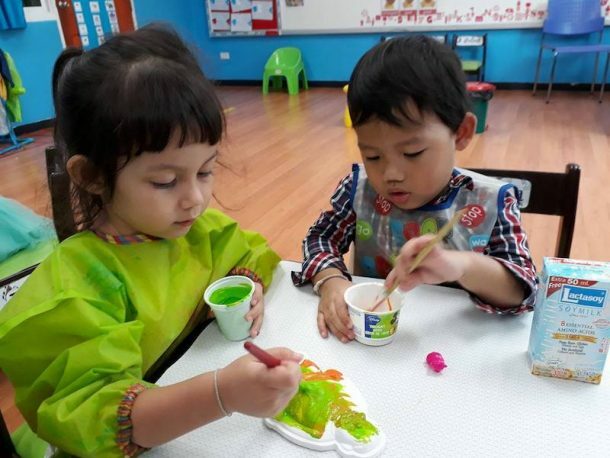 Language and literacy: Children develop basic skills in reading, writing, listening, thinking and speaking in English through a variety of class activities, including stories, rhymes, reading and dialogue. Children are introduced to letter names and sounds in K1 & K2, building on their reading-readiness skills. In K3 they begin to form words and build their reading skills. Children are encouraged to read age-appropriate books and develop a love for literature. Mathematics: Through a variety of games, activities, manipulatives, craft-work and worksheets, children develop an understanding of numbers, counting, reading and writing. Using hands-on activities, they learn shapes and measurements, sorting, patterning, classifying and comparing of objects, and units of time. 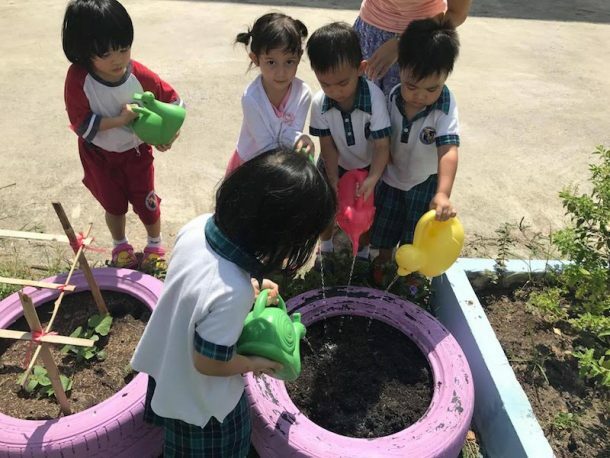 Science: Teachers plan and conduct engaging activities to increase children’s awareness of their surroundings and to encourage them to understand more about the natural world. 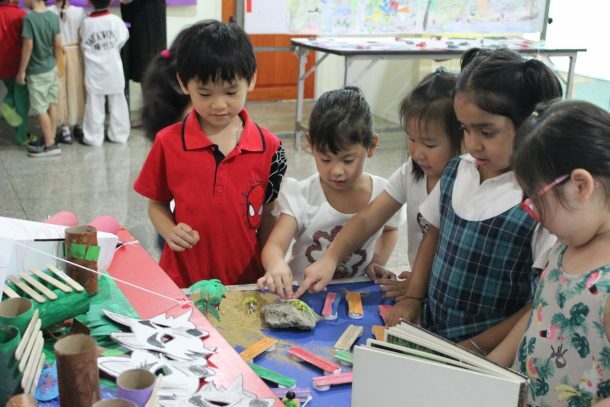 Children learn about topics such as living and non-living things, weather, and earth sciences through experimenting, investigating, exploring and observing. Children also enjoy basic cooking classes! Health and social studies: One of our primary goals is to promote physical and mental health. Children are encouraged to practice proper hygiene and are also taught how to appreciate and respect others. 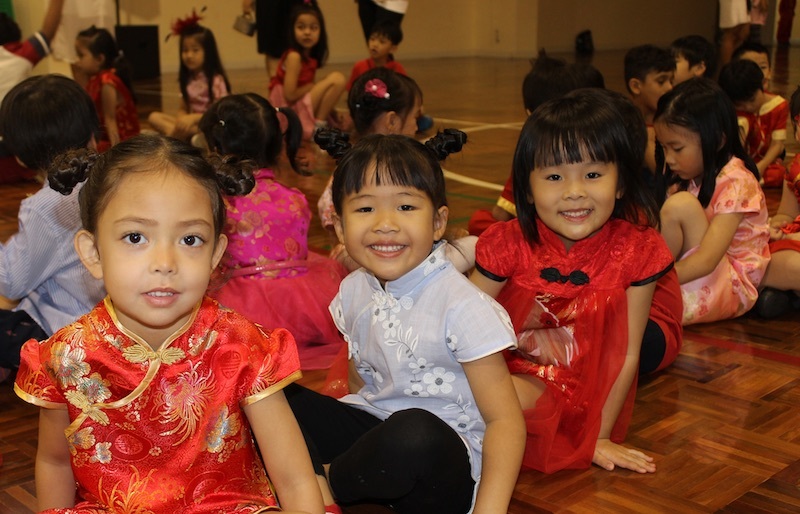 The school promotes cultural awareness among children and staff by celebrating important festivals like Loy Krathong, Halloween, Christmas, Chinese New Year and Songkran. Physical education: Weekly physical education classes focus on gross motor skills and physical fitness in young children. Children are involved in different movements such as galloping, hopping, walking, running, jumping and skipping. Children participate in activities that require them to balance, stretch, bend, twist, turn, push and pull. Creative activities: Other creative activities include arts and crafts, in which children acquire a variety of skills such as cutting, pasting, painting and gluing. Children use a variety of art tools in creating artwork and making presentations. Children also build on their fine motor skills through lacing, beading, blocks, puzzles, clay modeling and much more. Lessons and activities directly address these learning standards, enabling teachers and parents to directly measure the progress of their children. In addition to the core standards, kindergarten students also receive basic lessons in music and dance, computers, and languages. How does the kindergarten curriculum prepare students for future studies? Do the students build a strong foundation in math and English? Academically, the two most important skill sets in the Wells curriculum are literacy and numeracy. 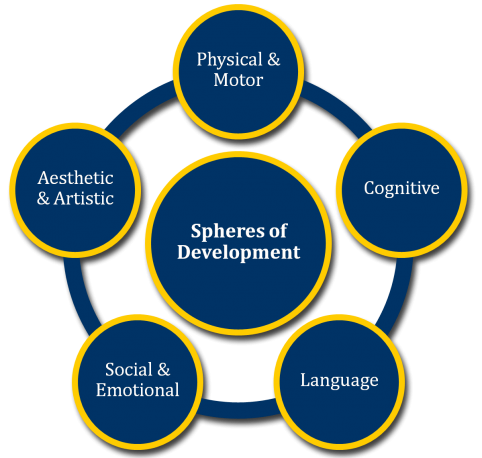 To ensure that Wells students acquire the skills they will need for later mathematics and language arts courses, special care is taken to ensure that these critical skills are continually reinforced. Wells International Kindergarten models its English instruction on the recommendations of the National Institute for Literacy’s (NIL) Put Reading First, which provides clear guidelines for instruction in phonemic awareness, phonics, vocabulary and text comprehension. This is supported through the use of programs such as Literacy by Design, a curriculum aligned to the NIL’s recommendation and Common Core standards. Literacy by Design builds English language skills in the language arts, science and social studies subject areas, and offers an online instructional component to supplement in-class instruction. Mathematics content is delivered through a variety of engaging techniques that include group work, games and the use of manipulatives. Wells International School’s mathematics program has been praised for its high quality, and Wells students formed the world championship team in the 2011 World Math Day.